Our Health and Safety team are currently looking for a home-based Health and Safety Consultant located in Preston or the surrounding area to join their team. Ellis Whittam is an award-winning, fast-growing business, providing high-quality Health & Safety, Employment Law and HR support to UK employers. Our hands-on, innovative, client-focused, commercial approach is popular with our clients and we achieve industry-leading levels of client satisfaction and retention. Our Health and Safety Department is all about quality client support. Ellis Whittam Consultants quickly become an integral part of our client’s management team by developing and executing an effective health and safety strategy that adds true value to the business. And have demonstrative experience as a Health and Safety Practitioner, preferably from a consultancy background. A driving licence and the ability to travel to multiple clients sites per week within your area is essential. As the successful applicant, you will receive a competitive salary, car allowance and excellent benefits as well as other perks. Your day to day role will allow you to be home-based and provide you with a wide variety of clients, helping you develop and maintain a varied skill set. You will be provided with allocated times to complete your write ups, along with dedicated admin support to produce documentation. In relation to your ongoing development, there are regular CPD sessions and an ongoing development budget. If you are a real health and safety all-rounder, with positive energy and enthusiasm, who enjoys working in a variety of organisations and industries, then we want to hear from you! "Our fantastic colleague engagement at EW is something very special and unique. 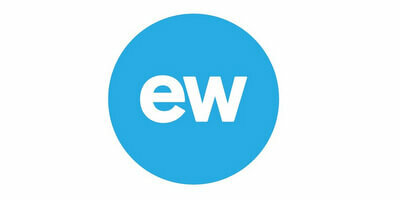 Our top strategic priority is to continue to grow EW as a great, fun and rewarding place to work!" We just need a few quick details so that we can give you call.